1st Marine Division Mortar crew prepares for action during final offensive to take the Matanikau area. The Matanikau River on Guadalcanal was the scene of several engagements during the campaign. The First Battle of the Matanikau (August 19, 1942) annihilated a Japanese reconnaissance in force that was scouting before the main force arrived for the Battle of the Tenaru River. The Second Battle of the Matanikau (September 23-27, 1942) resulted in the near destruction of 1st Battalion, 7th Marine Regiment, which was cut off and had to be withdrawn under fire by US Coast Guard landing craft. The Third Battle of the Matanikau (October 7-9, 1942) trapped the Imperial Japanese Army's 2nd Battalion, 4th Infantry in a wooded ravine. 700 were killed. Once Henderson Field was secured after the destruction of the Imperial Japanese Rmy's 29th and 16th Infantry Regiments under 17th Army's Lieutenant General Harukichi Hyakutake (October 23–26, 1942) the Marines began an offensive to clear the Matanikau area completely. In addition to two Japanese crossings built over the shallow river, American engineers built four personnel and one vehicular bridge by November 1. Three bridges were built overnight on October 31. The 2nd and 5th Regiments of the 1st Marine Division were detailed for the offensive. They crossed the Matanikau on November 1 and encircled the remnants of the Imperial Japanese Army's 2nd Division the next day. Artillery, mortars, and half-tracks mounting 75mm howitzers opened fire on the trapped Japanese on November 3. Two 70mm field pieces, sixteen 37mm antitank guns, and almost forty machine guns were captured and 28 officers and 201 enlisted soldiers were killed, including a colonel commanding the regiment. Another Japanese unit was also annihilated. Meanwhile a Japanese convoy with reinforcements landed, and the accompanying naval units fired on Marine positions, causing heavy casualties. 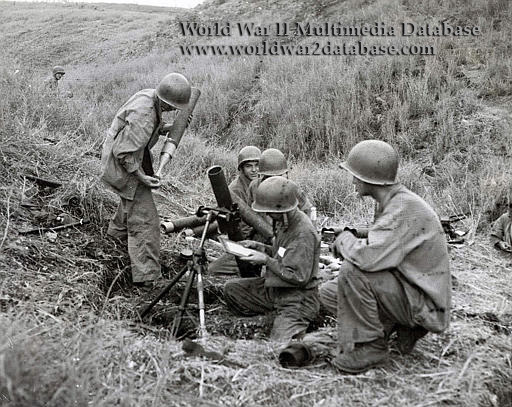 However the Matanikau was cleared, and the Americans were now able to go over to the offensive as the 2nd Marine Division and the US Army's Americal Division began to land in strength.